Zhigang Yuan is Professor of the School of Economics and Director of Employment and Social Security Research Center at Fudan University. 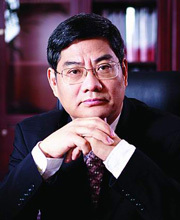 He is Distinguished Professor of the Changjiang Scholars Program and a recipient of the 1997 Sun Yefang Book Prize in Economics. His research interests include macroeconomics, labor economics, social security and employment theory.